Obituary for Florence E Core | Somerville Funeral Home, Inc.
Florence E. Core, 87, of Bridgewater, NJ died peacefully on Saturday, March 23, 2019. She was born on July 25, 1931 in New York City to parents Mildred (Barkley) and William Kerr. 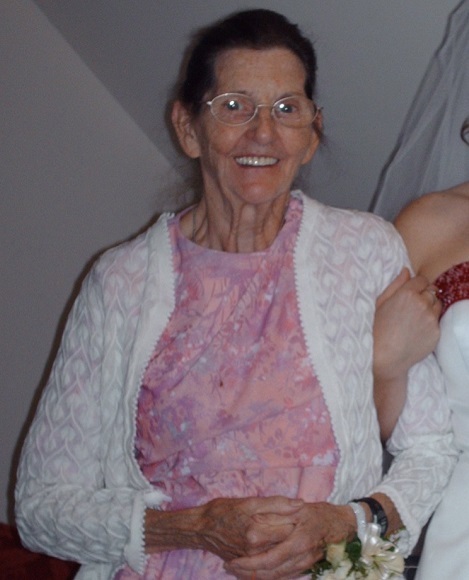 She was kind and caring, a devoted wife, mother, sister, grandmother, great grandmother and friend. Florence is survived by her children, sons Jeffrey Core, Washington and Randy Core (wife Jill) and daughters Kathy Faulks (husband Brian), South Bound Brook, NJ, and Della Tyler, Alaska. She is also survived by her brother, James Kerr (wife Marie), Texas and by the joys of her life her 10 grandchildren and 6 great grandchildren. Florence was predeceased by her loving husband Lewis E. Core. They were happiest “on the road” in their RV camper with friends and family. They made friends where ever they went. Florence will always be remembered as full of laughter. Interment will be next to Lewis at Rest Haven Cemetery in Delta Junction, Alaska. Funeral Services are private under the direction of the Somerville Funeral Home, 10 West End Avenue, Somerville, NJ 08876.